This guide covers Scenic Design, highlighting the set designers at the show you can meet with to discuss your next project. 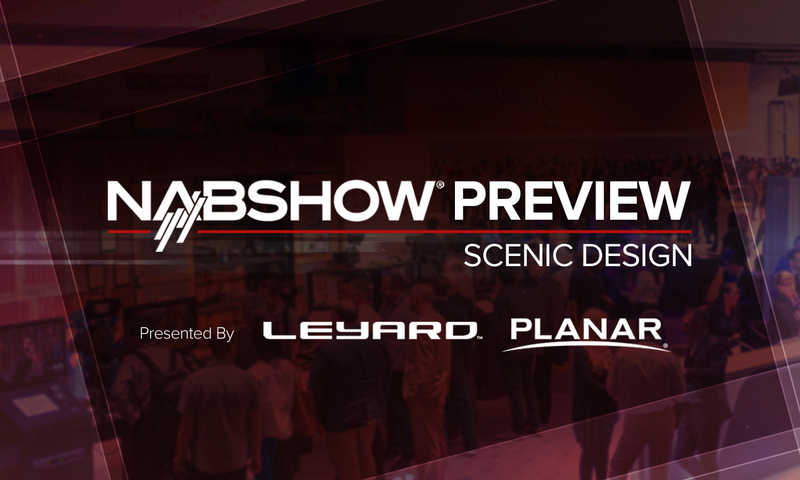 Some designers have phyiscal booths at the NAB Show while others have opted for private meetings off the busy show floor. Creative Dimensions has built a reputation as an innovative partner. The team coordinates and produces a range of signage, exhibits and broadcast studios, sets & desks including our sought after Versa Broadcast Desk line of products. Devlin Design Group is a full service scenic and lighting design firm specializing in the creation broadcast and multi-channel environments for news, sports, and lifestyle entertainment, for over 30 years. Team DDG provides complete turnkey solutions. Erector Sets is a full service scenery and set building company. From design services and fabrication to delivery and installation, Erector Sets can provide for every client’s needs. Exhibiting alongside Digital Video Group, FX Design Group will highlight their tech edge in scenic design, motion graphics and production. 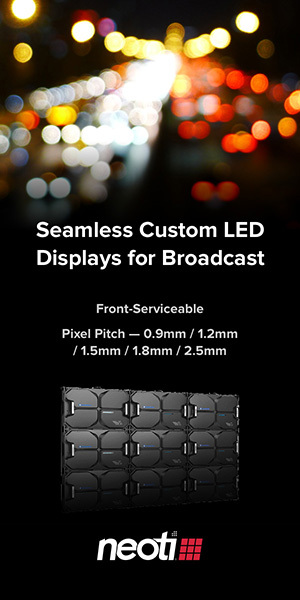 One of the main features will be LED video walls and the latest trends in “Story Telling Technology” for local news affiliates with the inclusion of digiLED and tvONE. Gelbach Designs Inc. will showcase a variety of affordable broadcast studio options for news stations and talk shows.broadcast and environment. Provost Studio is booking private meetings during the NAB Show to discuss news set design, sports set solutions and much more. To schedule a meeting, call 919.747.4543.